A Satsang and orientation brings the day to a close. Fly to the capital city of Tibet, Lhasa. The word “Lhasa” translates into the “Abode of God” and was once named the “Forbidden City,” as only those initiated into a spiritual process were permitted to enter the city. Today Lhasa is a dynamic and bustling city that still holds an old world charm. Let the magnificent Himalayan landscapes soothe your senses as you journey to Shigatse, the second largest city in Tibet. Prepare yourself for incredible vistas of sand dunes, snow capped mountains and large lakes as you travel to Manasarovar. Your first view of this freshwater lake will be truly breathtaking. Being the highest source of fresh water in the world, this blue and emerald green lake seems otherworldly. Stay overnight on the banks of the lake and drink in the peace that surrounds this space. 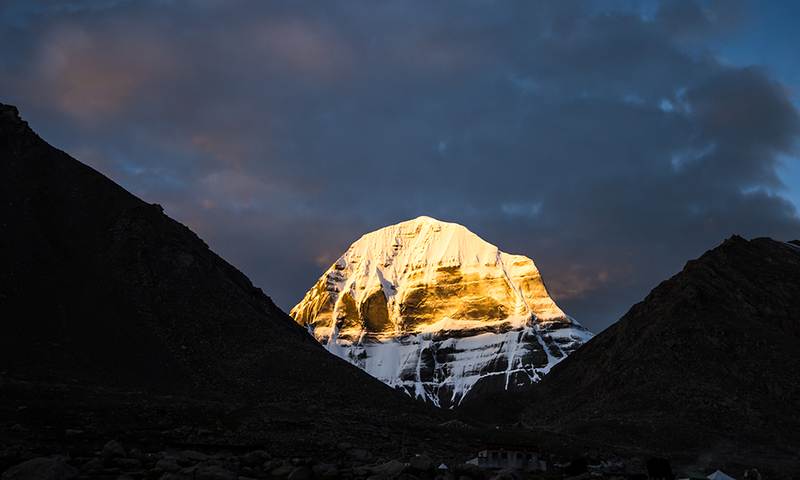 The trek comes to a close and after the immensity of Kailash, enjoy the relaxing journey as you head back to Lhasa. Fly back to Kathmandu. Devote the day to a guided sightseeing tour of this 2000-year-old city. Two of the finest gems on your itinerary – Pashupatinath temple, considered the holiest temple in Kathmandu and Patan, the city of fine arts. We close the sojourn with a Satsang and Guru Pooja, an offering of gratitude to the great Masters of the past and present. This sojourn begins and ends at Kathmandu, Nepal. The itinerary for each group may vary slightly. Sometimes due to last minute changes in the government rules, airline schedules or in case of natural calamities like floods, landslides, etc., a few changes in the itinerary may happen. Devote the day to a guided sightseeing tour of this 2000-year-old city. Two of the finest gems on your itinerary – Patan, the ancient city of fine arts and Boudhanath Stupa, the largest Buddhist stupa in the world. A Satsang and orientation brings the day to a close. Indian passport holders can arrive in Kathmandu on Day 2. 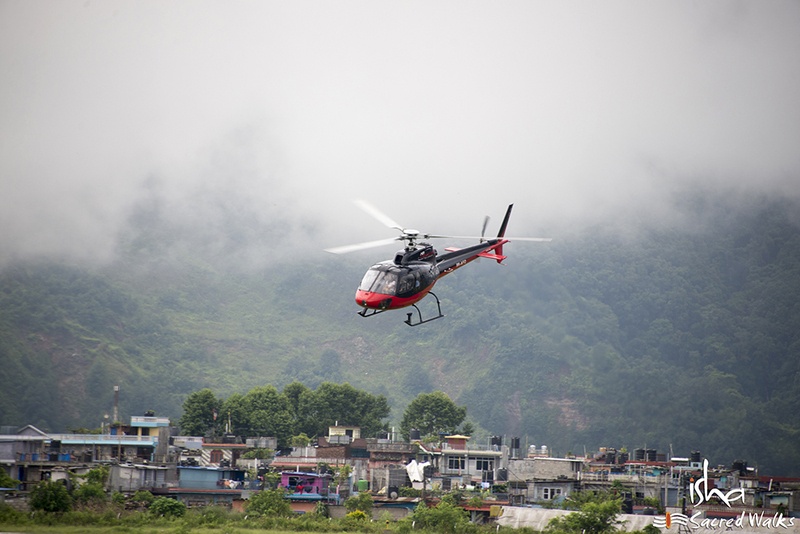 Take a helicopter ride to Hilsa, border town of Nepal and cross over to Tibet. Feast your eyes on the enchanting beauty of Tibet as you drive to Purang on the Tibetan-Nepalese border. Stay in Purang for another day to acclimatize to the high altitude and shop for any last minute supplies. 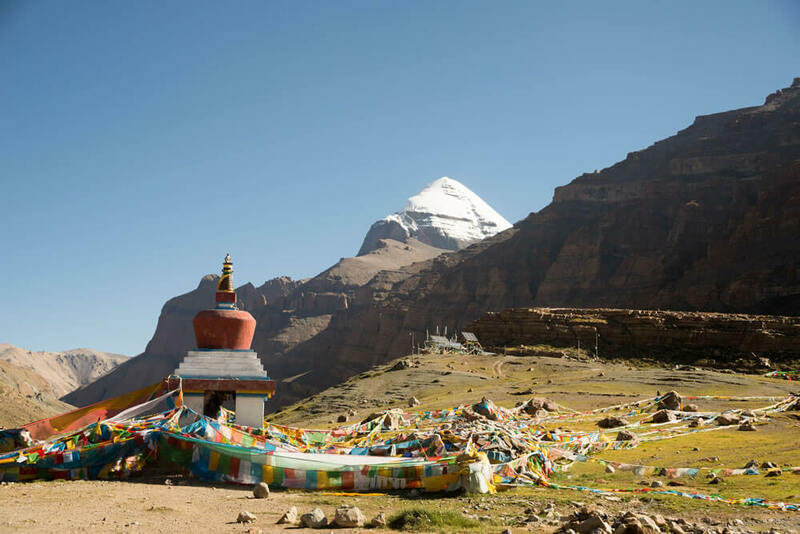 Prepare yourself for incredible vistas of snow-capped mountains and large lakes as you travel to Manasarovar. Your first view of this freshwater lake will be truly breathtaking. Being the highest source of fresh water in the world, this blue and emerald green lake seems otherworldly. Stay overnight on the banks of the lake and drink in the peace that surrounds this space. Get ready for a trail that is as challenging as it is rewarding. Pack up and drive to the starting point of the trek, Yamadwar, and begin the trek to Dirapuk. En route, behold the sights of cliff-top monasteries, yak caravans leisurely ambling over snowy passes, and the western face of Kailash. Finally experience the powerful and indescribable phenomenon of this revered mountain. As you stay the night at its base, you have the opportunity to indulge in the beauty and immensity of the esoteric Kailash. 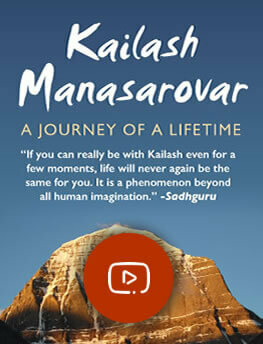 The trek comes to a close and after the immensity of Kailash, enjoy the relaxing journey as you head back to Nepal. Indulge your eyes on the magnificent Himalayas from high up as you fly back to Simikot and Nepalgunj. This is the final leg of the journey, where you stay overnight. Devote the day to exploring this 2000-year-old city. Visit the ancient Pashupatinath temple, considered the holiest temple in Kathmandu and Patan, the city of fine arts. We close the sojourn with a Satsang and Guru Pooja, an offering of gratitude to the great Masters of the past and present. Enjoy the sight of small hamlets and villages nestled in the lush greenery of Himalayas as we drive to the border town of Syabrubeshi. We drive to Timure and complete the immigration formality both at Nepal and Tibet side before further driving to Kyirong, known as the “valley of happiness”. It is believed to be the place where Tibetan Master Milerapa was born and lived. Drive down to Saga (“happy land”), which is situated along the banks of the Brahmaputra. Feast your eyes on the enchanting beauty of Tibet. We stay another day here to acclimatise to the high altitude before continuing the journey to Lake Manasarovar. Meantime, shop for any last minute supplies. Prepare yourself for incredible vistas of sand dunes, snow-capped mountains and large lakes as you travel to Manasarovar. Your first view of this freshwater lake will be truly breathtaking. Being the highest source of freshwater in the world, this blue and emerald green lake seems otherworldly. Stay overnight on the banks of the lake and drink in the peace that surrounds this space. Drive back to Kathmandu after completing the immigration formalities at Nepal-Tibet border. Devote the day to exploring this 2000-year-old city. Visit the ancient Pashupatinath temple, considered the holiest temple in Kathmandu and Patan, the city of fine arts. We close the sojourn with a Satsang and Guru Pooja, an offering of gratitude to the great Masters of the past and present.